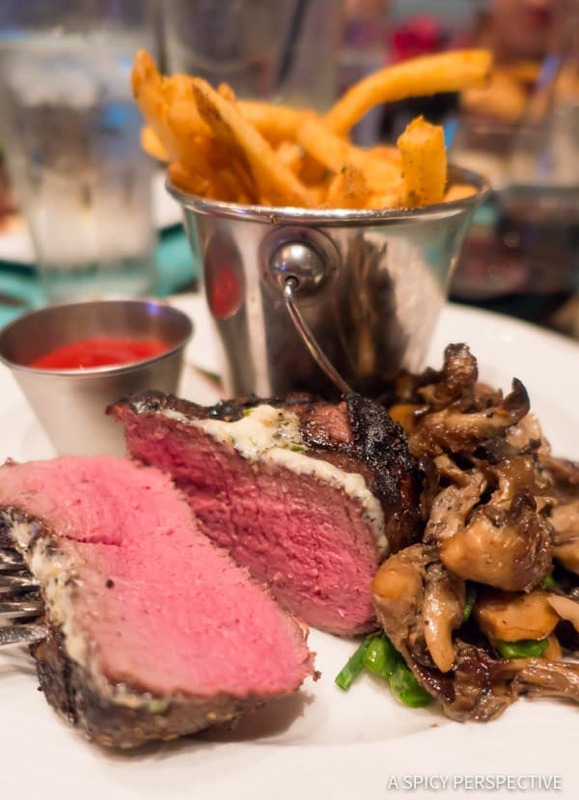 Amelia Island Restaurants and Travel Tips! 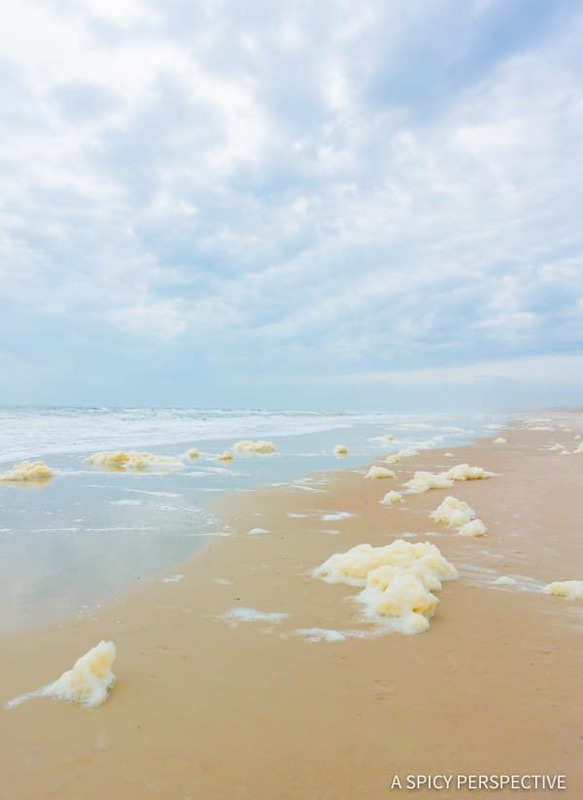 Today we’re sharing the best places we found to eat, stay, and the most fun things to do in Ferandina Beach and Amelia Island, Florida. A few weeks back my family had the opportunity to break out of the chilling winter weather here in Asheville, North Carolina and head down to Amelia Island, Florida to warm up a bit. 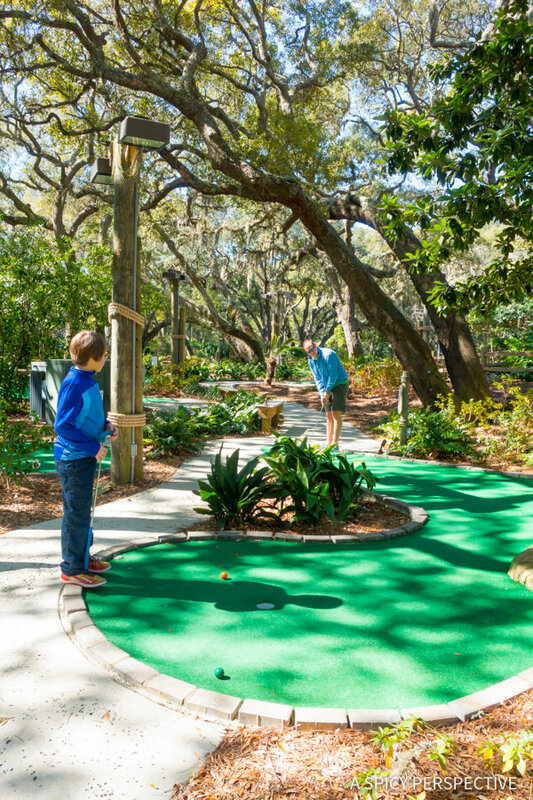 My hubby, Lt. Dan, had been to Amelia Island a couple times on golf trips, but the kids and I were first-timers and excited to explore a new (to us) part of Florida. Since Amelia Island is right on the Florida-Georgia boarder, I wasn’t exactly sure what to expect in culture and surroundings. After all, most of the places I’ve visited in Florida are much further south. I was pleasantly surprised at the natural beauty of the island, and more the intrigued to hear about Amelia’s rich stories of colonial power changes, pirate expeditions, and early african american history. 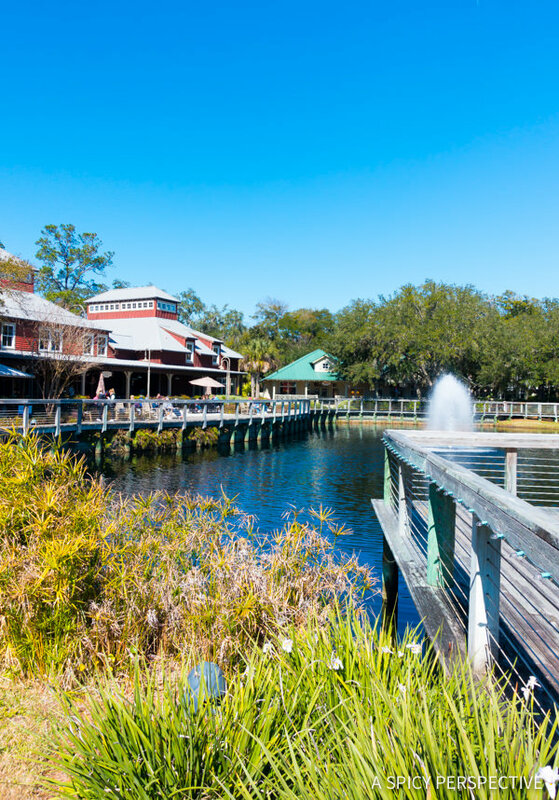 There is so much to do and see in Amelia Island. However, today I want to share the highlights we experienced on our trip. 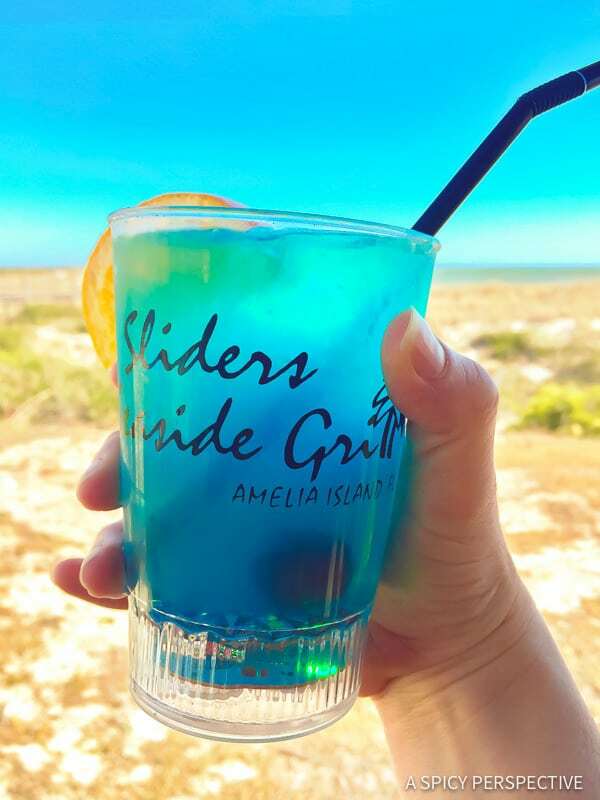 Slider’s Seaside Grill – Our first meal in Amelia Island was lunch at this popular local beachfront bar. 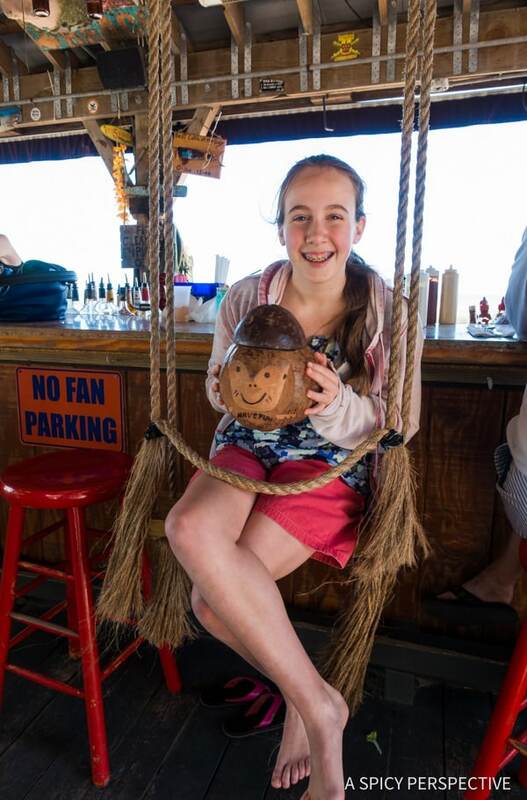 With tons of seating inside and out, a stunning view of the ocean, a fabulous casual menu, and great tiki drinks… What’s not to love? 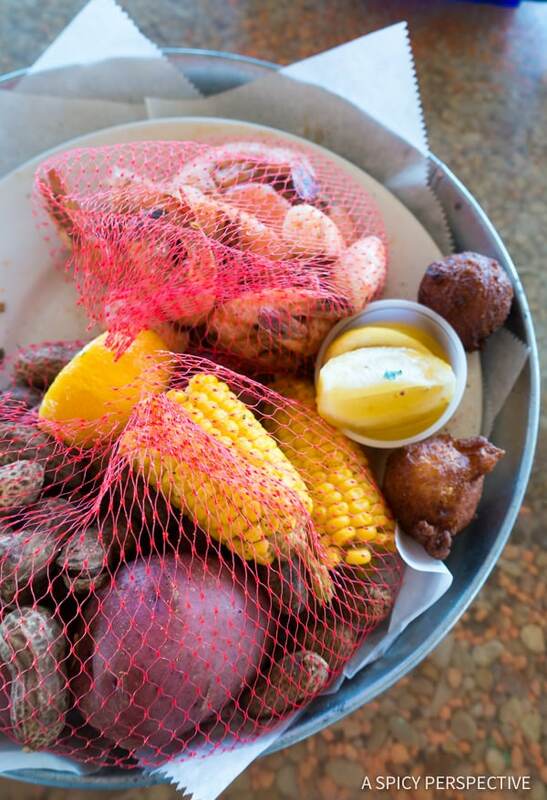 We sat up at the bar (in bar swings) and feasted on crispy fish tacos, spicy shrimp, and low country boil. This a a great flip-flop-friendly restaurant with live music and tons of appeal! 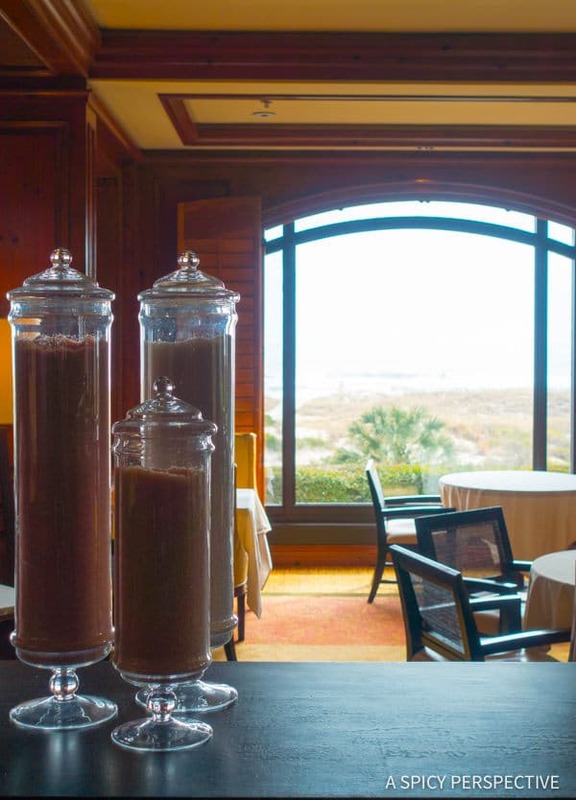 Oceanside at Omni Amelia Island Plantation – Gorgeous oceanfront dining in Amelia Island Plantation. 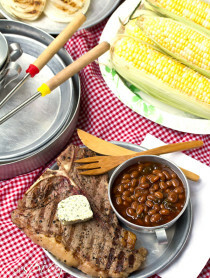 Marvelous steaks and seafood. Creative appetizer options. Great cocktails. And the biggest baddest desserts around! We planned on ordering several desserts, yet after we saw a single piece of cake come out of the kitchen, we decided to order just one dessert for all four of us. 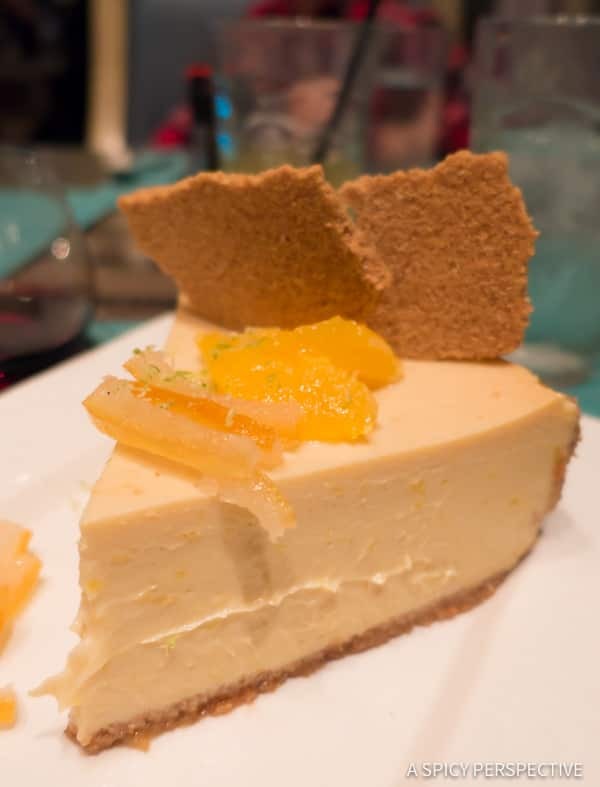 Make a reservation and try the key lime pie. It’s worth every last calorie! Timotis Seafood Shak – Recommended by every single local we met. Timotis is a classic casual seafood joint, with flair! Try the clam strips and poke bowl. 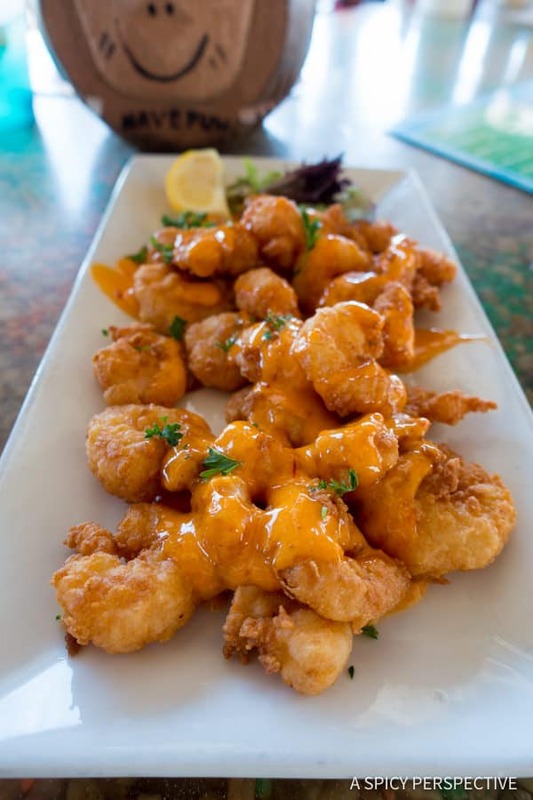 Salty Pelican Bar & Grill – Oceanside flavors and so much more. 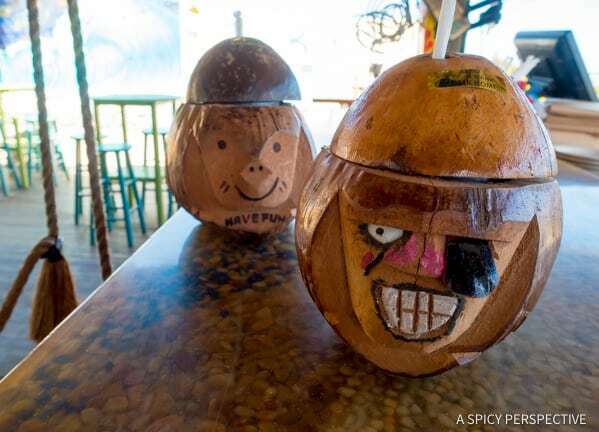 The Salty Pelican is another spot regularly recommended by locals with intriguing bar snacks, like Tempura Fried Avocado and Tuna Bites and Loaded Potato Spring Rolls. 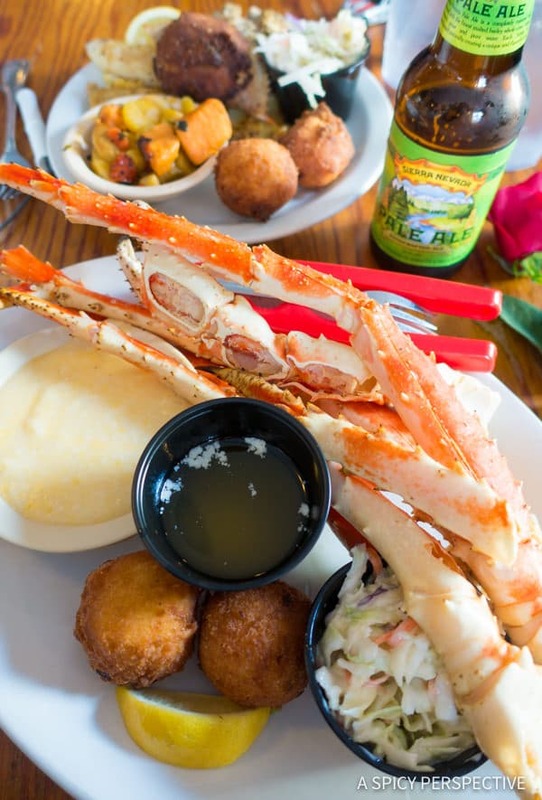 Crab Trap – A long-standing seafood shack with trash buckets built into the tables and huge seafood platters. We enjoyed amazing crab legs, creamy smoked fish dip, clam chowder, gator tail, and all sorts of ocean-fresh classics. 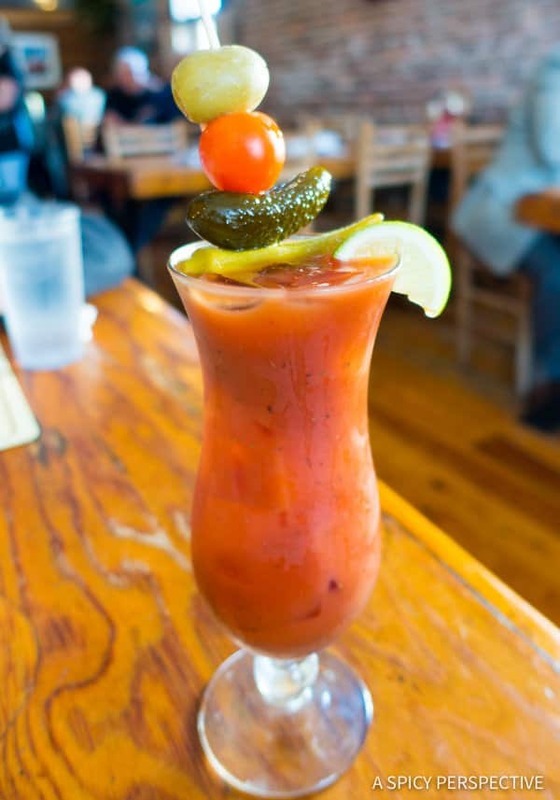 Make sure to order a Bloody Mary and be ready for a good time! T-Ray’s Burger Station – An innovative burger joint with a fun atmosphere. Great prices, and fantastic sandwiches! 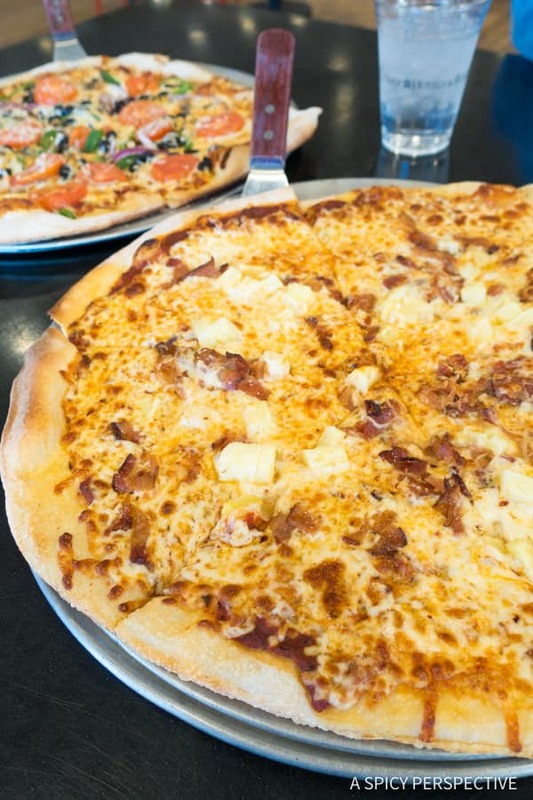 Natural Slice Pizza & Surf Shop – Right in the heart of the Omni Amelia Island Plantation Shopping Area, is an unassuming pizza joint with killer pizzas. This is a great place to stop for a break from shopping or to get out of the sun for a bit. 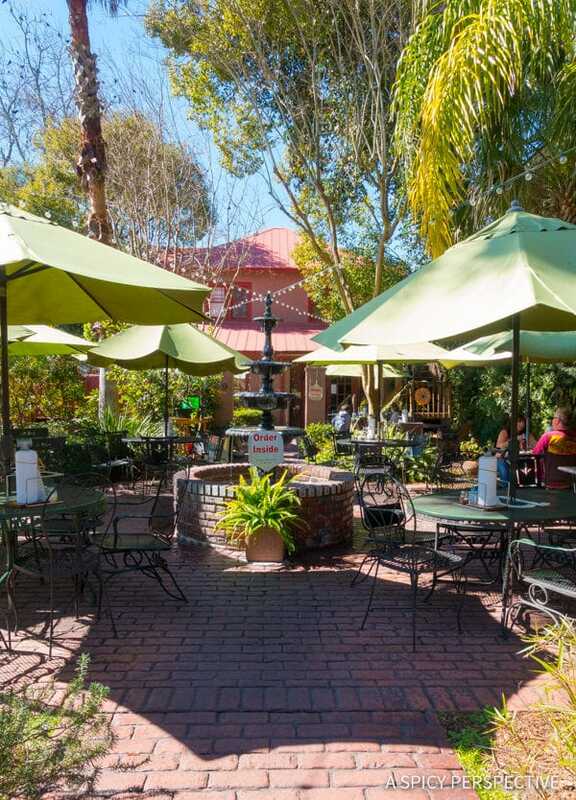 Pi Infinite Combinations – Excellent pizzas and stromboli in picturesque Ferandina Beach with quaint outdoor seating. 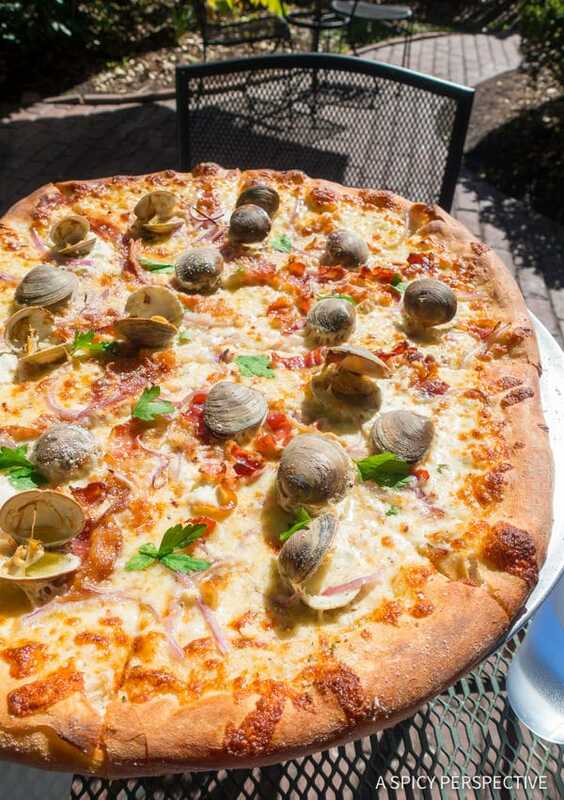 The Clams Casino Pi is to die for!! Coast at Ritz-Carlton Amelia Island – One of our mot memorable meals was at the Ritz-Carlton’s newest restaurant, Coast. This elegant, yet unpretentious, restaurant offers dish after dish of artful modern cuisine with a focus on local seafood and produce. The octopus salad and crab deviled eggs were mind-blowing, along with pretty much everything else we ordered. 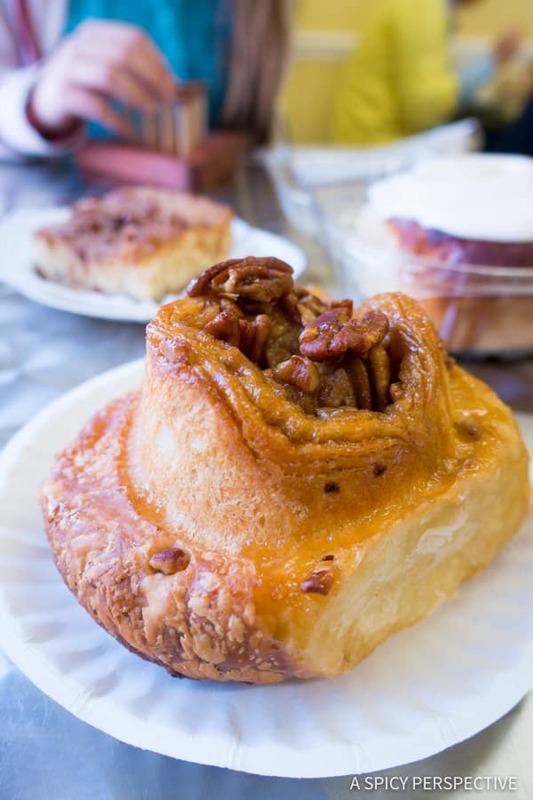 The Pecan Roll Bakery – We were told by a local tour guide that we had to stop at the Pecan Roll. This little roadside carb-shack did not disappoint! Huge pecan rolls, cinnamon rolls, and coffee cake are available first thing in the morning along with all sorts of tantalizing treats. The best items do sell out early, so stop by on one of your early rising mornings. 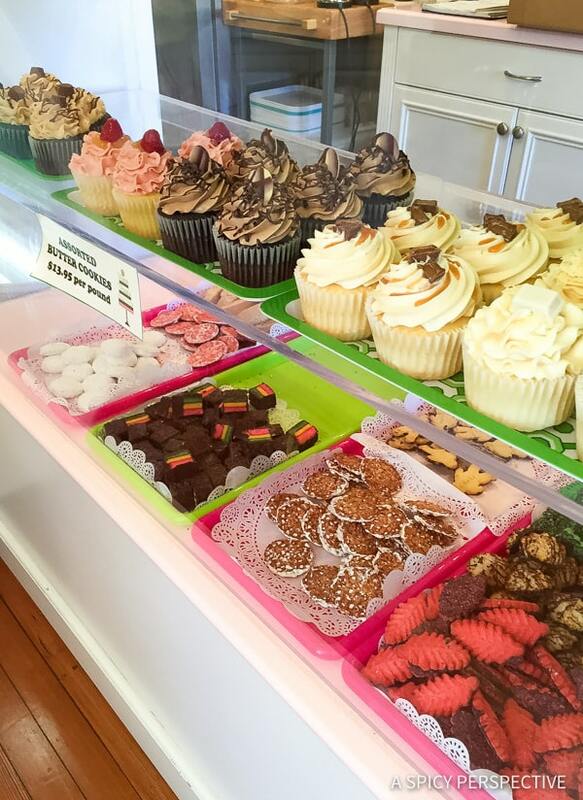 Fantastic Fudge – A cute corner shop in downtown Ferandina Beach, with decadent fudges, chocolate creations, and of course ice cream. 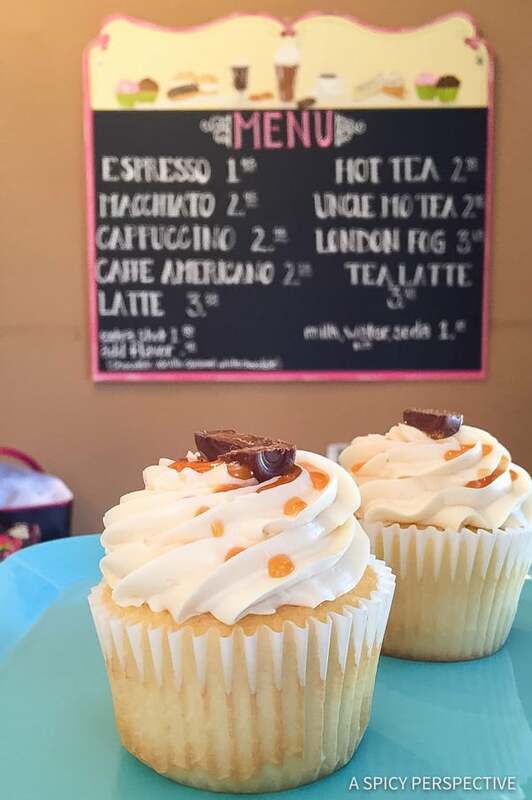 Nana Teresa’s Bake Shop – Our last stop on the way out of town was this adorable little bakery filled with traditional italian cookies, enormous cupcakes, specialty cakes, and pastries. The almond filled croissant is their signature pastry. Sit out on the front porch and indulge your sweet tooth. 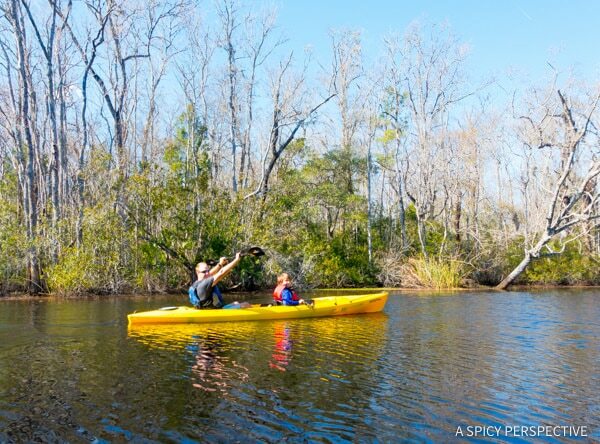 Go Kayaking – Take a fun and educational kayak trip with Amelia Island Kayak Excursions, a family owned business that knows the inside scoop on the surrounding waterways. Our guides were extremely friendly and taught us all about the wildlife along our kayak route, as well as island history. This is a great family activity year-round. 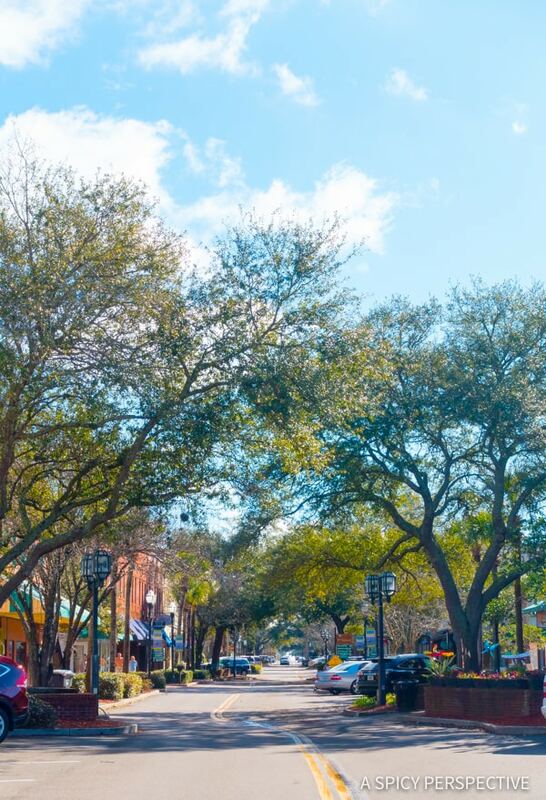 Shop – Downtown Ferandina Beach is a charming waterfront village with great coffee shops, restaurants, and tons of shops to peruse. With art galleries, toy shops, home interiors, and clothing boutiques you will definitely find the perfect souvenir for everyone in the family! 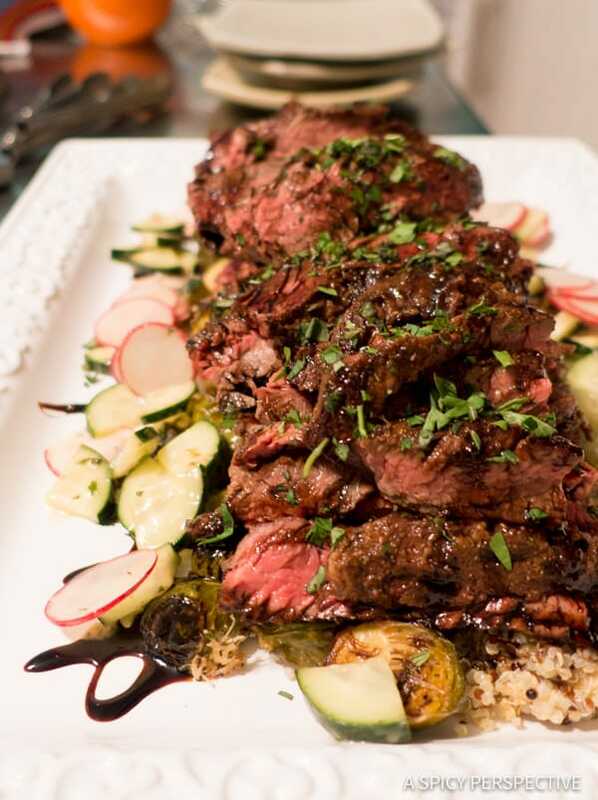 Take a Cooking Class – One of our most memorable meals was a dinner we helped make! 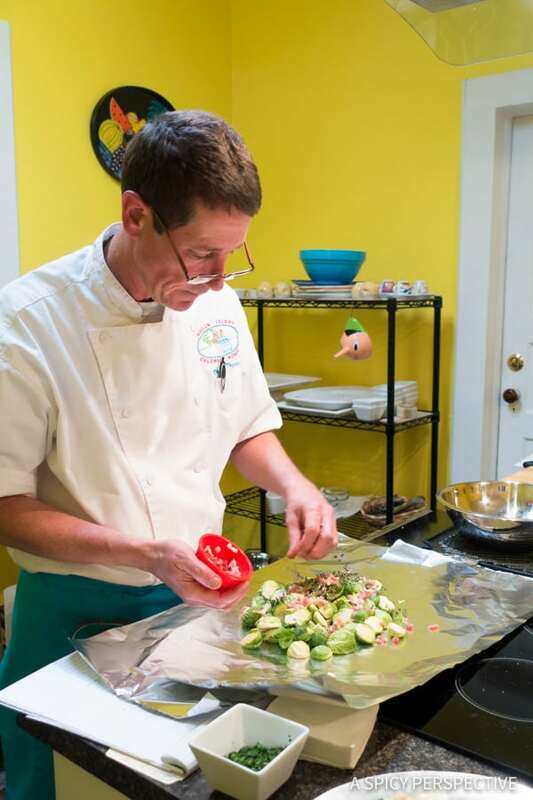 The whole family loved attending a farm-to-table cooking class at the Amelia Island Culinary Academy where we made a tantalizing meal of shrimp and butternut squash salad and hanger steak stacked on quinoa and brussels sprouts. Chef Bill was wildly entertaining, and full of culinary wisdom. This was truly a great experience! 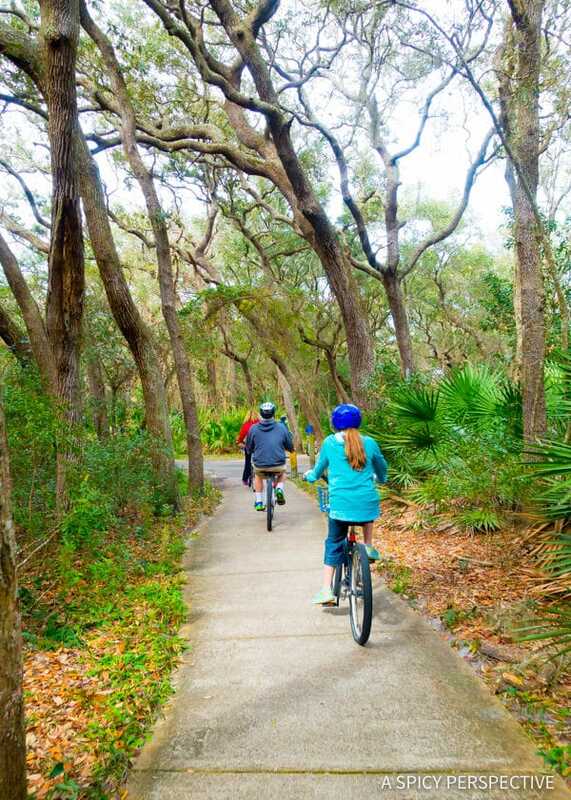 Bike – Whether you rent bikes to explore on your own or take a guided bike tour, Amelia Island is the perfect place to spin your wheels! We biked down to American Beach, the first African America public beach in the United States before desegregation. We also saw the largest sand dune in Florida. Yet cycling down the shady trails under live oaks and hanging moss was pure magic. Lay in the Sun – Or splash in the waves! 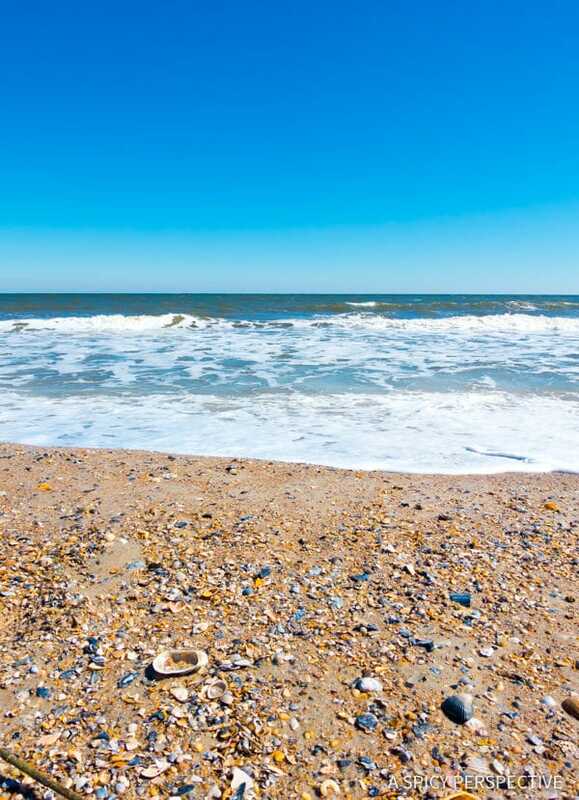 Amelia Island is in fact an island… Explore the long sandy coastline and find a quiet spot to take a nap or play. 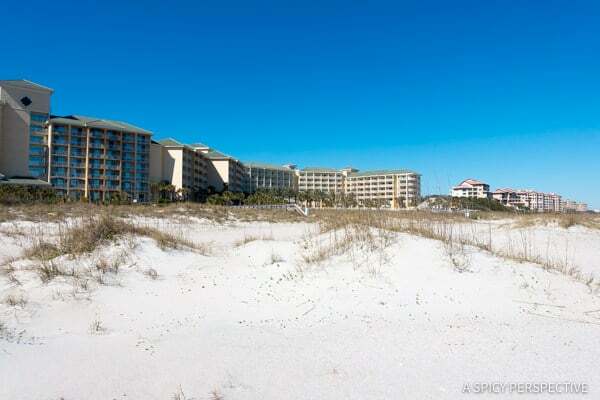 Golf – with six stunning golf courses on the island, Amelia is a golfer’s paradise! 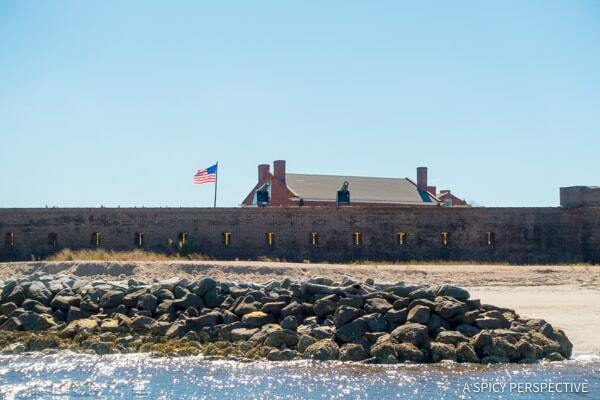 Explore – The north tip of Amelia Island is the home of Fort Clinch State Park. Playing on the beaches, hiking through the woods, camping, and visiting Fort Clinch with daily reenactments are all part of the fun. Take a Historic Boat Trip – We cruised with Amelia Island Cruises on a 2 hour excursion north to Cumberland Island, home of early American Robber Barons, the Carnegie family. 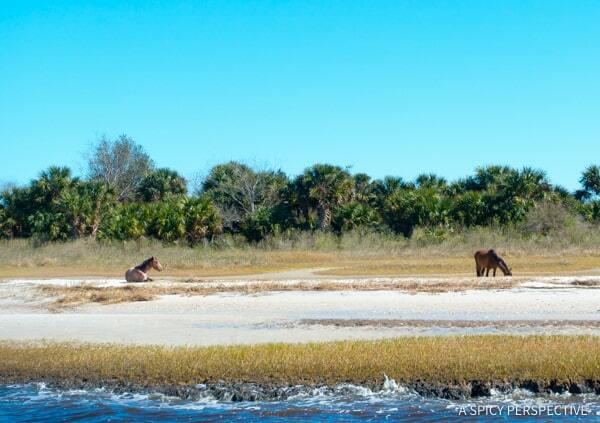 This unadulterated coastline is full of all sorts of surprises, like the free-roaming horses left on the after the family left. This cruise is great for anyone with a love for history and rugged beauty. 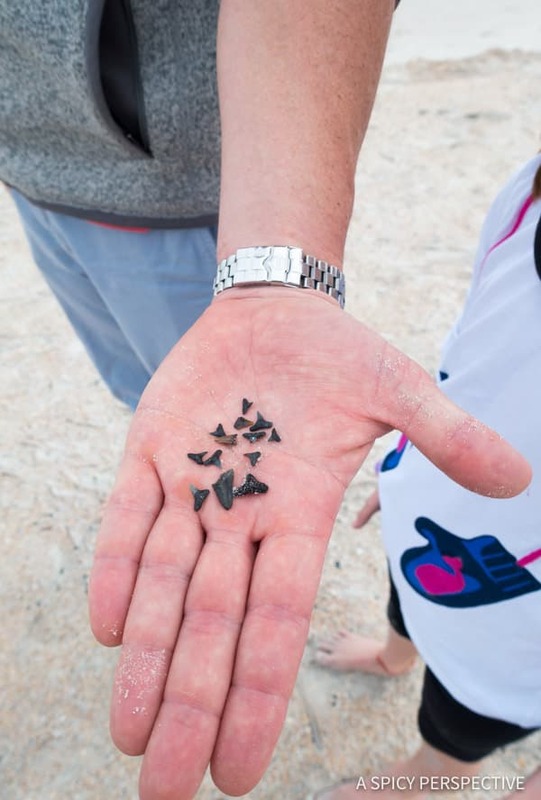 Hunt for Shark Teeth – One thing we noticed on Amelia Island, is that although shark sightings are few and far between, there is a vast amount of fossilized shark teeth that wash up on the shore. The kids spent hours brushing through the sand to collect as many teeth as possible. Great fun for them, lounge time for mom and dad! 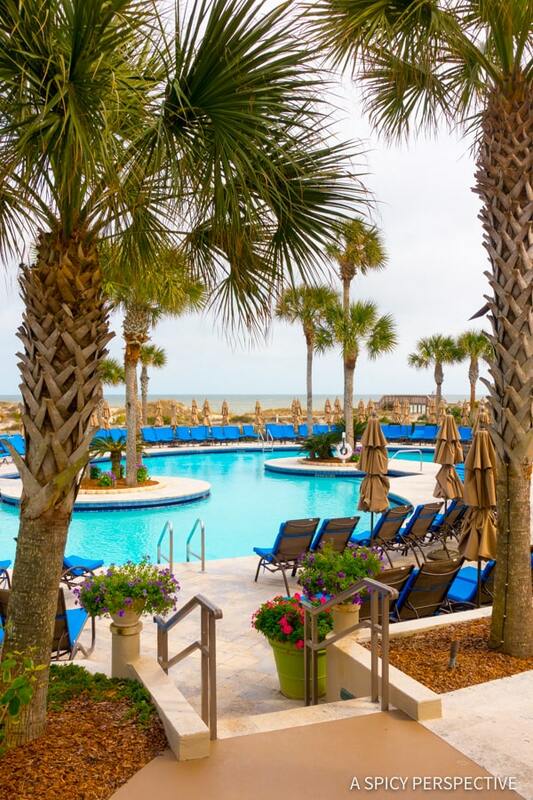 Enjoy Resort Amenities – There are several resorts on Amelia Island with stunning grounds, pristine beaches, spas, shopping, restaurants, and endless activities. 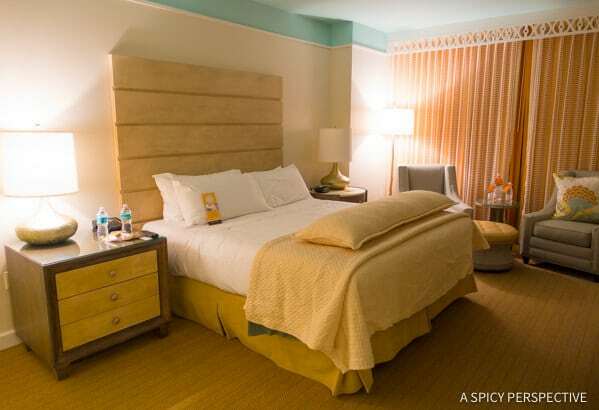 In fact, if you really need a quiet getaway, you would never have to leave the resort. I’ll tell you more about our experiences below. 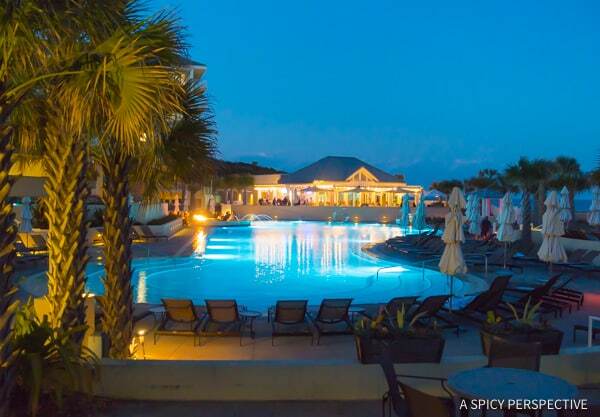 We were able to stay at two stunning resorts on Amelia Island. Both surpassed all expectation, setting the bar high for future resort experiences! 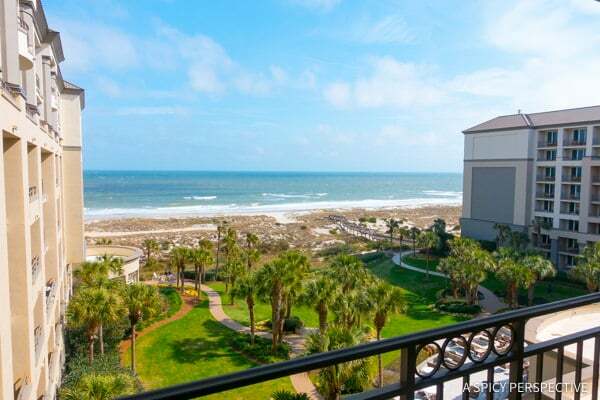 Omni Amelia Island Plantation Resort – Amelia Island Plantation is a sprawling resort with beautiful golf courses, mini golf, a shopping village, a nature center, beautiful beaches, multiple restaurants, and planned activities every day of the week. The pool area is breath-taking with a separate adult pool, and well-heated indoor and outdoor pools for year-round swimming. The morning view from our balcony. The rooms and grounds are newly renovated. We could not get over how gorgeous our room was with a massive bathroom and living area, as well as an L shaped wrap-around balcony overlooking both the pool area and the ocean. 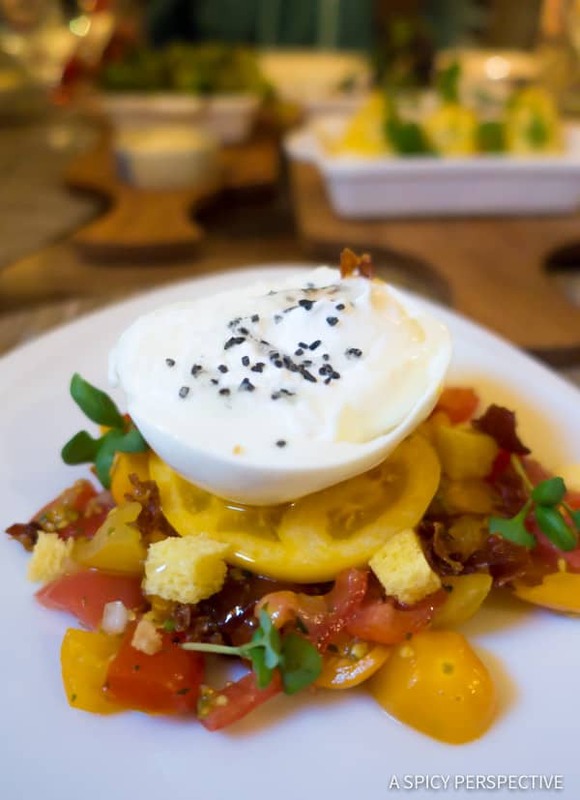 Amelia Island Plantation focuses on dazzling the palate in their nine restaurants, and with culinary attractions like cooking classes and foodie events. 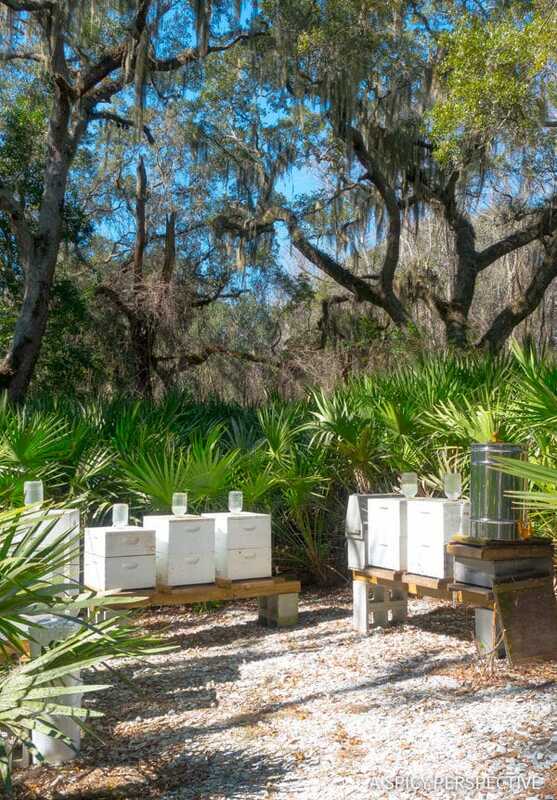 Chef Daven Wardynski leads his team in homegrown experimentation with The Sprouting Project, an aquapondic greenhouse and garden, growing fresh produce for the resort restaurants, and on sight beehives. 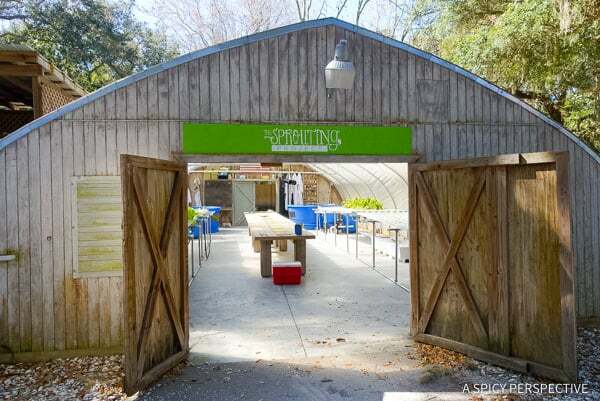 You can sign up for monthly tours and dinners to experience The Sprouting Project for yourself! After all this fabulous food, make sure to check out the state-of-the-art fitness center, tennis courts, and the new pickleball courts! 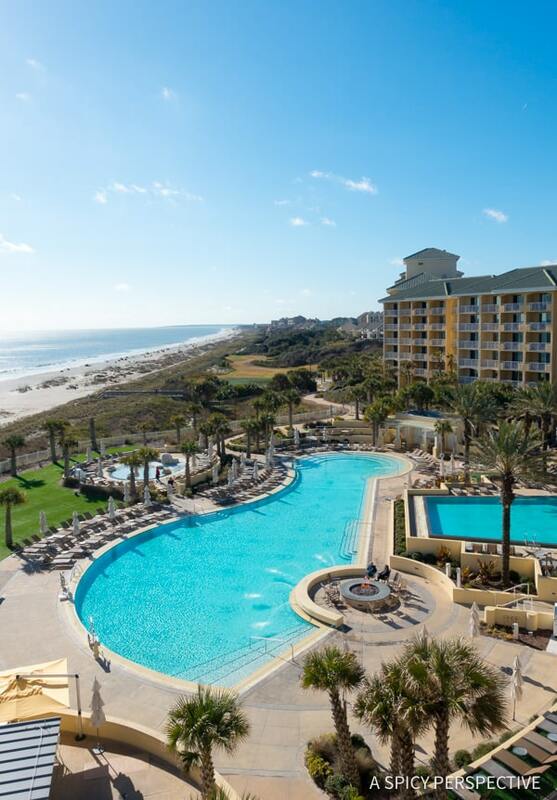 Ritz-Carlton Amelia Island – As always, the Ritz-Carlton offers luxury at every turn. 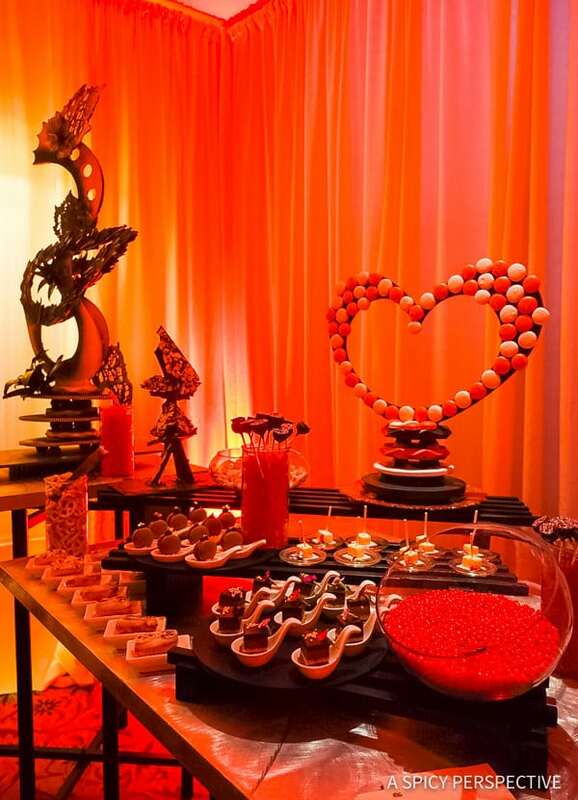 We happened to check-in on Valentine’s Day, discovering a decadent “Endless Chocolate” tasting experience going on in the lounge. What a great way to kickoff our stay! The beach at the Ritz-Carlton was the most well-kept beach I saw anywhere on the Amelia Island, and the grounds were awe-inspiring. 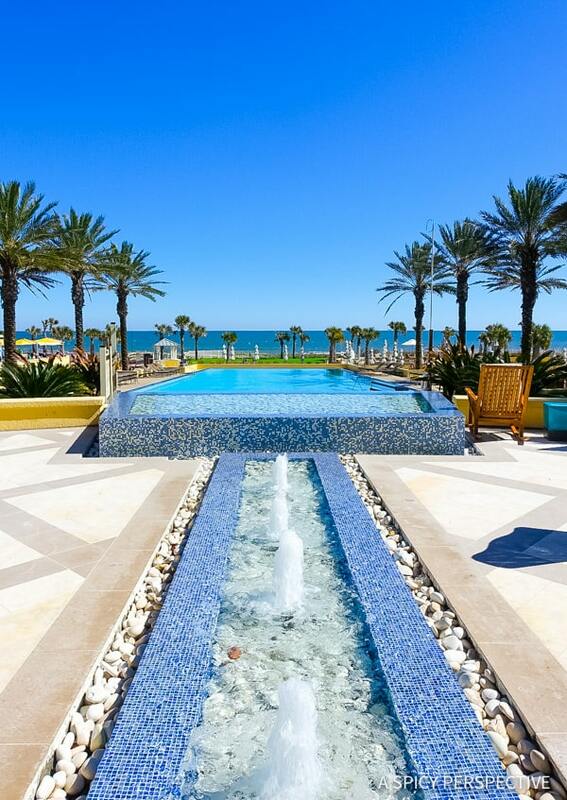 With indoor and outdoor pools, golf, boardwalk paths around the property, plenty of places to relax and soak up some sun, a lavish spa, and daily planned activities, who would ever want to leave? 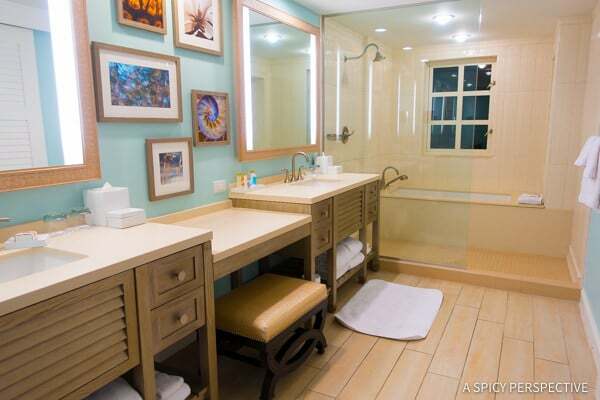 Check out the dressing area between the his and her bathrooms and our bedroom. I can just imagine all the brides who have dressed for their wedding here! 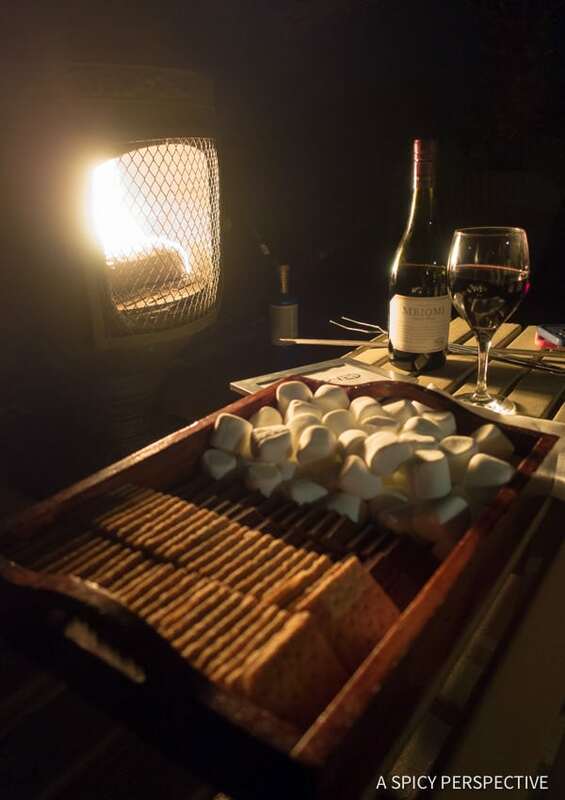 The kids enjoyed the family-focused amenities like the game room and movie theater in the evenings, the outdoor s’mores experience, the daily bike tour, and guided shark tooth hunt. 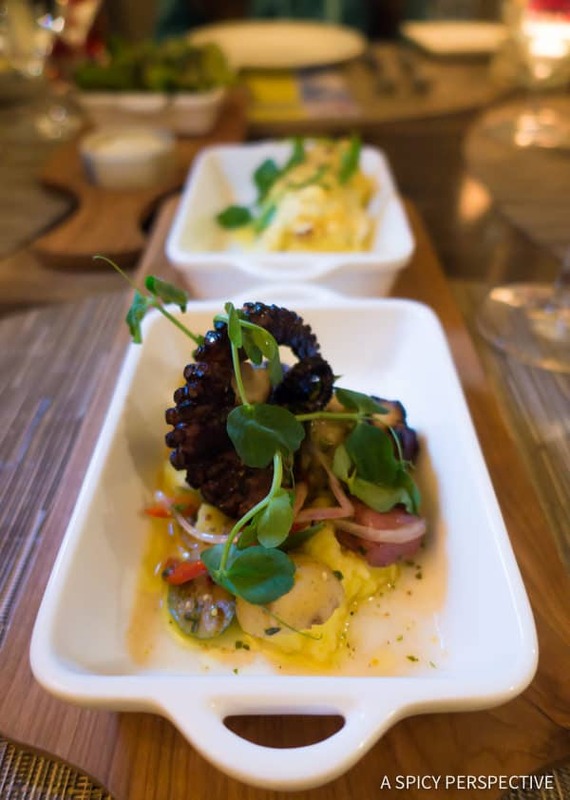 Ritz-Carlton Amelia Island has five on sight dining options, including Salt, the only AAA 5-Diamond restaurant on Amelia Island, and Coast, their newest restaurant with casual elegance and inspired small plates. The kids also loved snacking on sliders and nachos at the Eight Burger Bar & Sports Lounge. 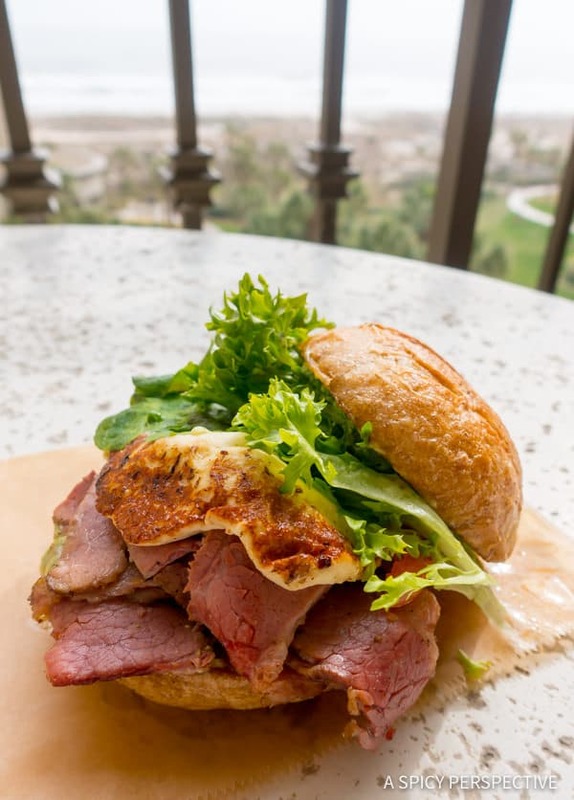 The famous Ritz-Carlton Amelia Island Pastrami Sandwich. 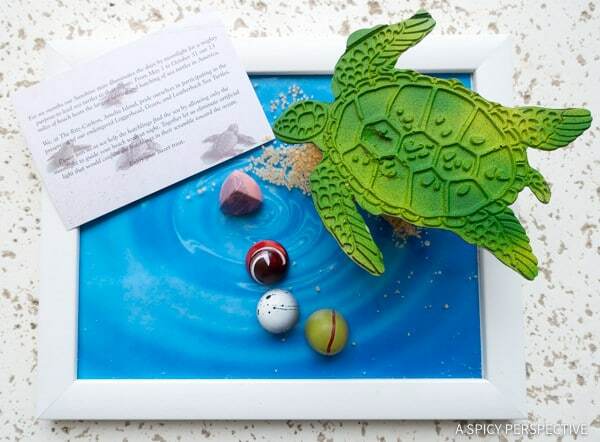 Ritz-Carleton is known for making their guests feel special. Just look at the goodies brought to our room! 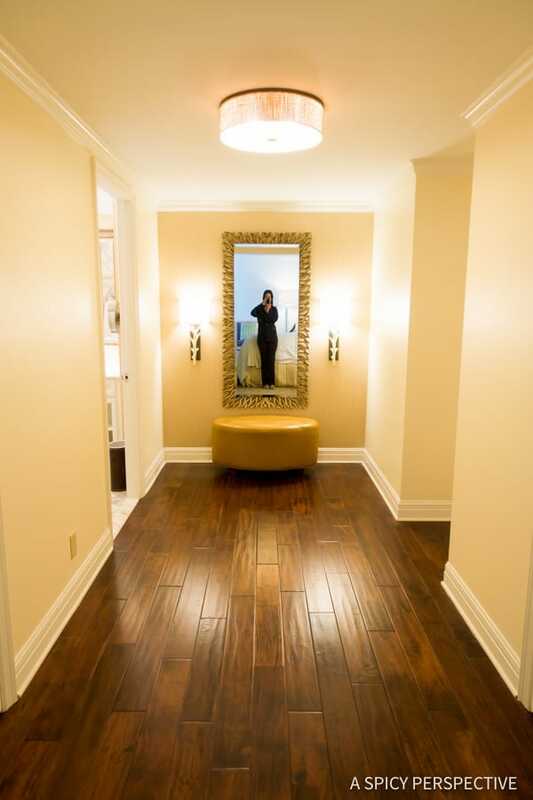 We felt sincere warmth from the staff and cozy opulence at every moment of our stay. 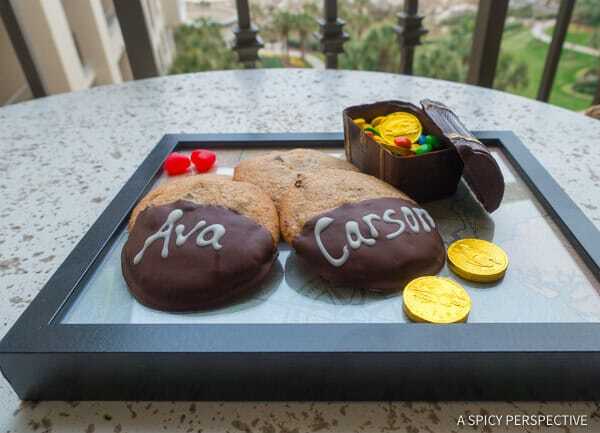 Ritz-Carlton always has some sort of special offer going on for weekend getaways. For an upgraded experience, try a “club level” package with daily meals and beverages in a private lounge on your floor, and all sorts of special perks. 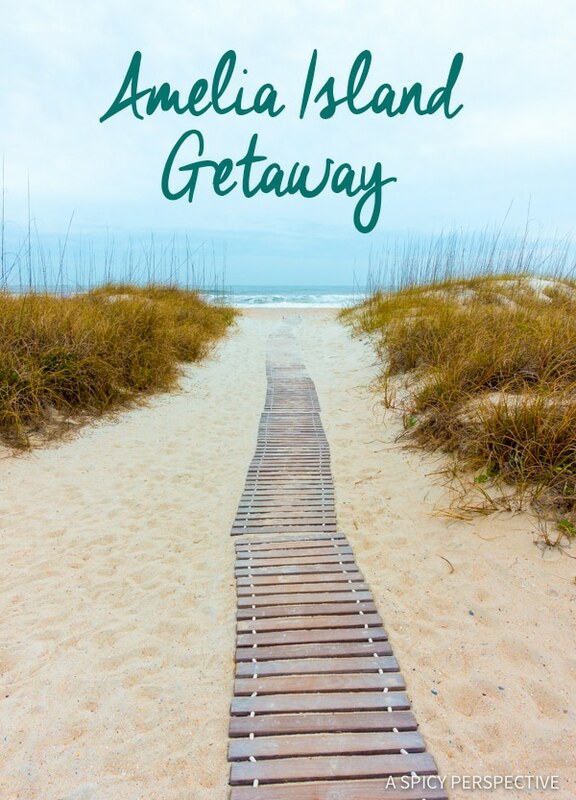 To find more helpful information to plan your getaway, visit AmeliaIsland.com. Our time in Amelia Island was short, so there was no way to experience everything. If you have a favorite restaurant or hot spot to mention, please tell us all about it in the comments below! Disclosure: We were hosted by Amelia Island Tourism. All opinions are my own. If you go back, try Ms. Carolyn’s for breakfast. It’s small and quiant but make sure you get a slice of cake to go. Jana’s cake is absolutely incredible! 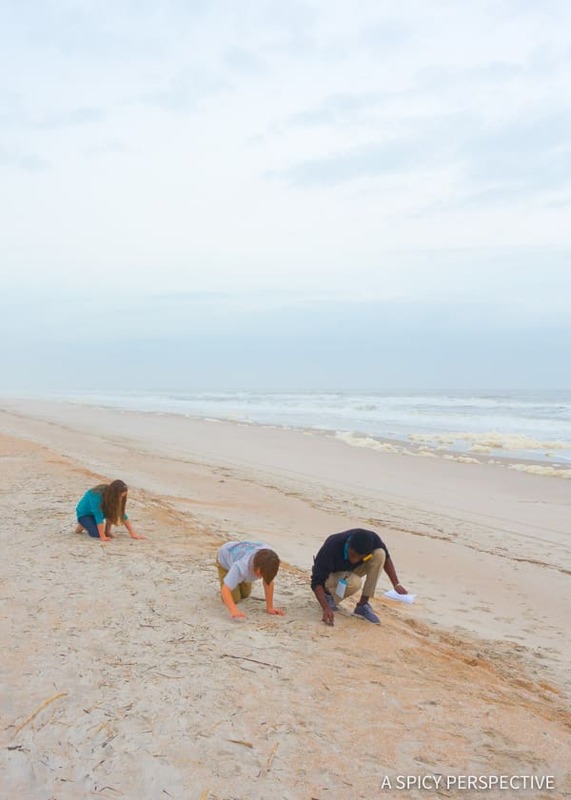 I never even heard of Amelia Island until I saw your write up. We just spent four nights there and had the best time! We really loved the Omni. The Marche Burette restaurant there is great for breakfast & lunch. The shrimp salad sandwich is not to be missed. I’m going to look through your travel section before booking my summer vacation. 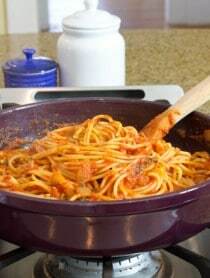 We love to eat at Arte Pizza when we are down there. They have great sangria and the pizzas are delicious! Sliders is one of our favorites too. Looks like an amazing vacation for you and your family! 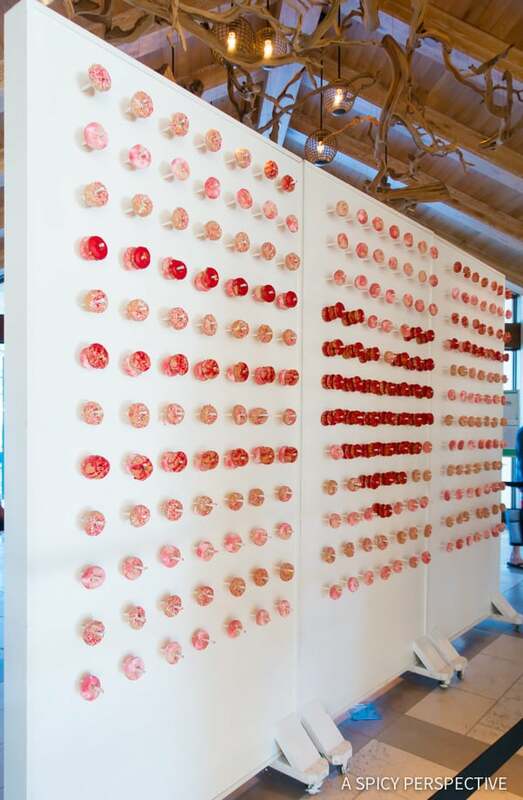 The donut wall is incredible!